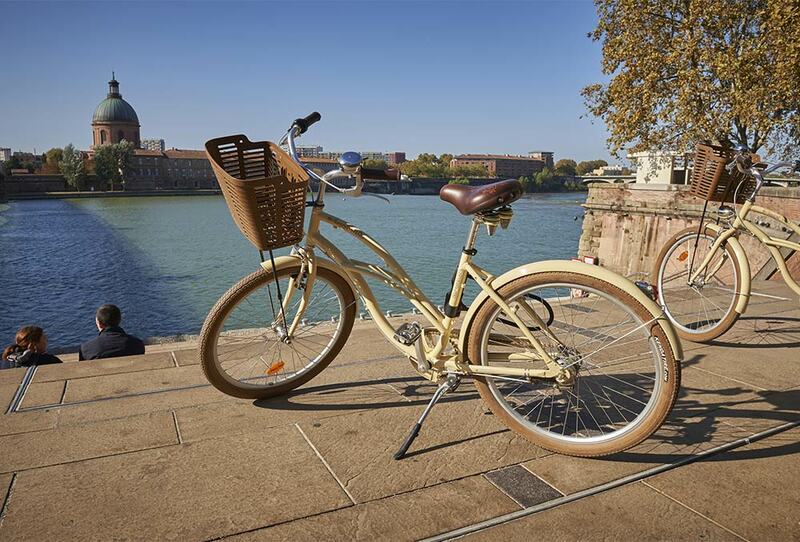 You’re passing through Toulouse and you want to discover its charm and secrets? 1. Choose the date which is most convenient from the calendar below. 2. Contact us by specifying the number of people, the choice of bike and the date. 3. On the day pay the amount for the visit. Florent, born and bred in the region, history buff, will accompany you to discover the must-see places of Toulouse. Experience an unforgettable and convivial moment sprinkled with tasty anecdotes about the history and actuality of the pink city. Possibilities to privatize the visit by choosing the privilege pack (3h of visit with E-Bikes). Additional offer : Keep the Beach bike for the day for no extra cost.